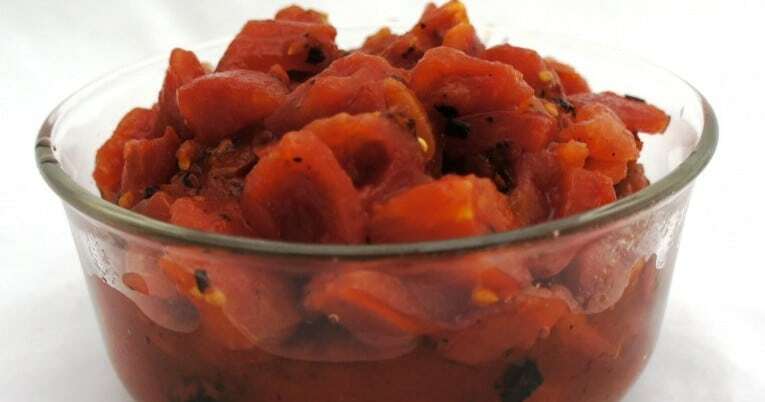 Organic Fire roasted diced tomatoes in juice shall be prepared from vine ripened Organic tomatoes that have been washed, hand sorted for quality and fire roasted over an open flame. Blackened peel around the cut edges and a distinct charred aroma give these diced tomatoes their exceptional fire roasted flavor and characteristic appearance. To enhance flavor and maintain quality, sea salt, naturally derived citric acid and calcium chloride are added. These products meet National Organic Standards established by the USDA National Organic Program.